I received my picnic stash quilt back from the quilter this week. It is bound and finished. I always have mixed feelings after completing a quilt. Of course its an accomplishment but its done and over with after the binding is hand stitched. The quilt will be used certainly but the creation process is over for it. I always kind of wonder what uses a quilt will have. Not to wax philosophical or anything but I do think about who will use the quilt and where it will go before it is worn out. I meant to use up 2 1/2" and 4 1/2" squares that were already cut when I set out to make this quilt. The borders, back and binding are all from stash, too. The pattern is mushy when you stand back. And since its a picnic quilt and no master piece, I'm ok with that but sorta disappointed I didn't put more light value fabrics in it. I like it much better close up. Then I can appreciate all the bits of fun fabric included. But that is the best part of stash scrap quilts - appreciating all the tiny parts of fun colors and shapes. So it works for what it was intended, I think. Shhh. I promised not to tell anyone but its over now. Today was my husband's 50th birthday. We celebrated with a quiet BBQ cooked by Natalie's boyfriend Justin. No fanfair or big to do, just very simple - and just what the birthday boy wished for. And some nice gifts, of course. That is a great quilt -- big fun to look at! And happy birthday to your husband. I love your summer quilt. 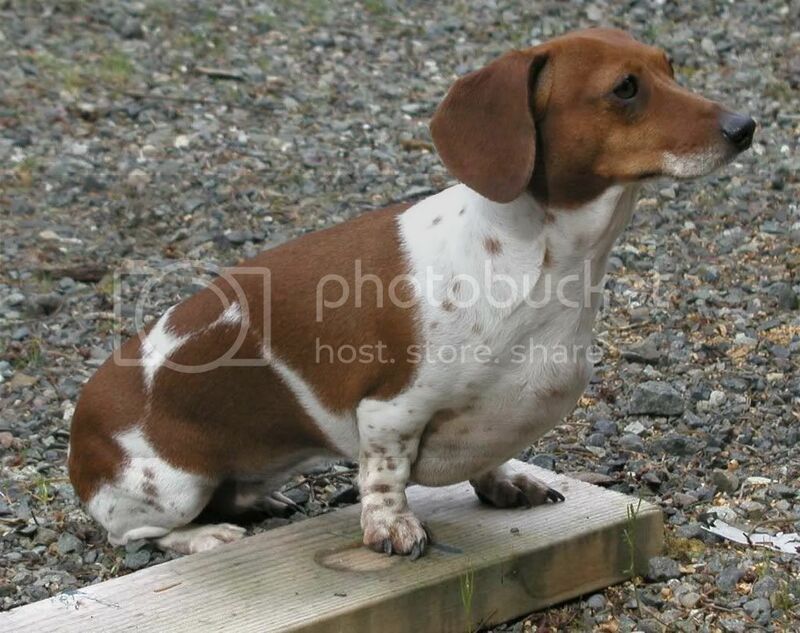 Scrappy is all the thing. Did you have a pattern or just used 2 1/2 and 4 1/2 pieces of material. You are very creative. Happy Birthday to your hubby and welcome to the Fifties Club! 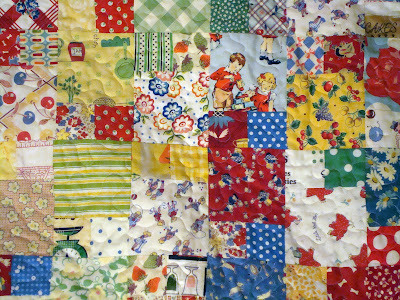 Cute quilt--wish my scraps were more color coordinated so I could make cute quilts too. BEAUTIFUL! 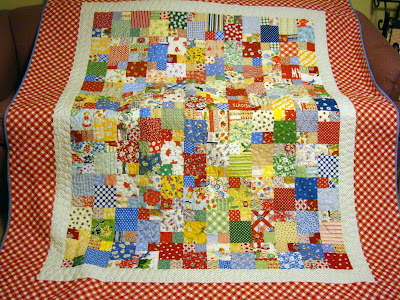 Love all the fun squares, and the vintage children fabric. Glad your hubby had a happy birthday. That's my favorite way to spend my special day, low-key with family and close friends. Sorry I was signed into the wrong acct. on the prior comment that says Katie! I think it is perfect for picnics! Sometimes my favorite part of patchwork is how the quilt changes depending on your perspective and where you are standing. From afar it looks like tons of fun colors, almost like a jumbled rainbow. As you get closer a pattern can be seen then when you are on it you get to see all the great fabrics! Three kinds of fun. Happy Birthday to your husband! Oh I think the quilt is great, especially being able to use fabric on hand and not purchase any new!!! i love this. can i come on a picnic with you? what fun fabrics you have! It has been so much fun watching your progress on this quilt, and reading your thoughts about it.. from beginning to end. I am way behind in posting an update, but one is coming today.. and I'm so excited to put this one on it! 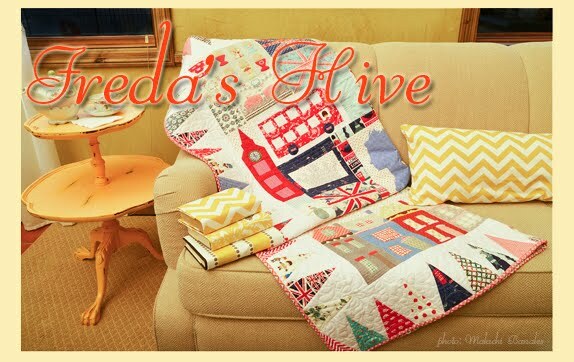 Freda I love your quilt. 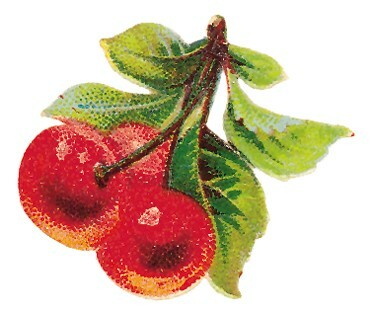 It is bright and cheerful, but, of course, I love red! The prints you have used remind me of my childhood - happy, bright pieces! The quilt looks great. Congratulations to the birthday boy! I love your picnic quilt - it yells Summer! Lovely quilt. Very retro and perfect for a pinic! All your prints remind me of my childhood too. Happy Birthday to your husband. Happy Birthday Mr. Hive! Oh Nanette -- I just love that quilt. I think I would have a hard time throwing it on the ground for a picnic though! Funny about your hubby's b-day -- my hubby wanted the same thing on his b-day -- no fanfare. At work they always post b-days and the b-day person takes in a treat. 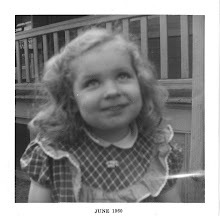 Hubby has a pact with the admin -- she doesn't post his b-day 'cause he doesn't want anyone to know. They know something's amiss though cause he still brings in a treat LOL! I love the quilt! It looks fun and happy from a distance and close up looks like you could spend hours looking at the different fabrics. I love the close up picture too. That's my favorite part. I could stare at all the little parts and pieces for hours. Picnic blankets are my favorite! What a bright, happy looking quilt! The materials are adorable! Happy birthday to your husband! I like the quilt far away and up close. The colors are so cheerful! I think your quilt is beautiful. The best thing about it is that it is so cheerful and leaves you with that feeling. Makes you want to have a picnic just so you can enjoy the quilt. Love the quilt!!! Its fun seeing all the bits and pieces. p.s. Happy Birthday to your husband! I LOVE how this quilt turned out. the red border is the perfect finishing touch. and happy birthday to your husband! OK I'll take that quilt, LOL - it's adorable and I think I would hate to put it on the ground for a picnic. Happy 50th to your husband. My big day is next year and hubby's was 2 years ago. He swore me to a quiet day of celebration - no surprises, although they pulled a dooozy on him at work. So I've made him promise the same thing for me. Just a quiet day of celebrate. Your quilts are always wonderful to look at! Good job. Maybe I need to do a stash quilt tot get rid of some fabrics and room for new ones!! Love that quilt!!!! Time for a picnic!! That quilt is simply amazing. It's so fun and spunky! Happy Birthday to the birthday boy! I hope it was fun! I enjoy this quilt. Its so happy. And happy (belated) birthday to the DH, too. I love that picnic-quilt! It's so fresh! What a perfect quilt for picnic-ing. It's so bright and summery. I hope your hubby enjoyed his big 5-oh.